Balancing the time you spend sitting and standing can help you to achieve, not just improved back health, but also many other health and working benefits. 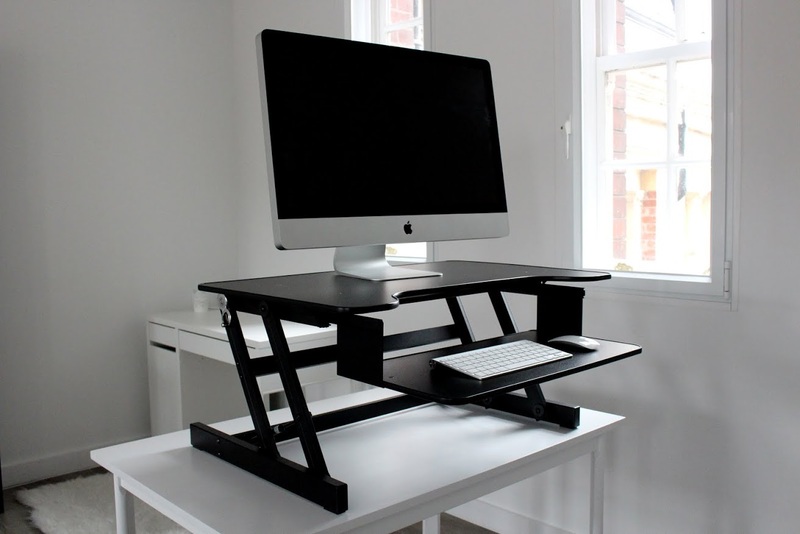 With our new, easy to use levers, our Standing Desk (available in both white and black) can be adjusted in seconds. 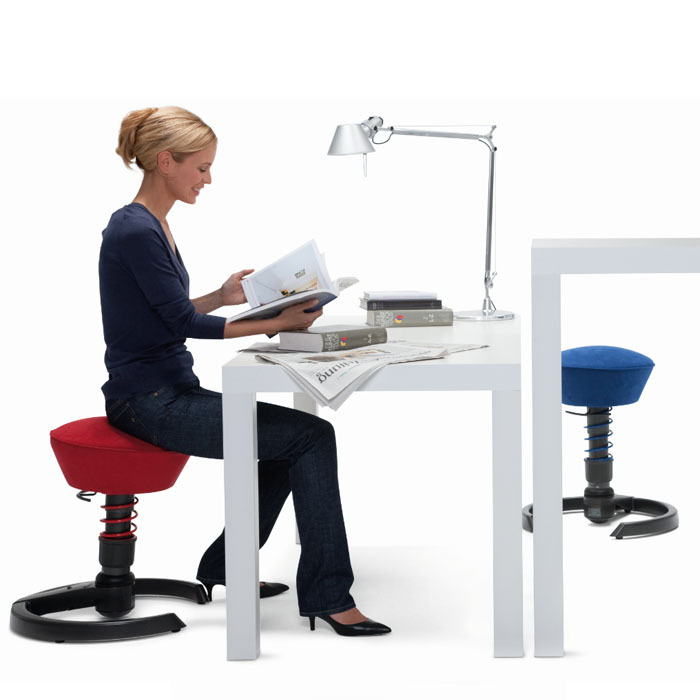 The desk provides 4 height options to choose from, starting at it’s lowest sitting position, to its tallest standing. 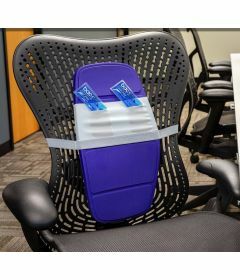 Most people who suffer with Back pain are employees who spend their days seated. Maintaining upright posture, can be achieved by alternating between standing and sitting at your desk. 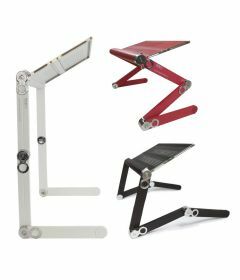 Sitting causes 2x MORE PRESSURE on the discs in the spine, having a height adjustable desk will allow you to take the pressure of by alternating the amount of sitting and standing we do throughout the day. 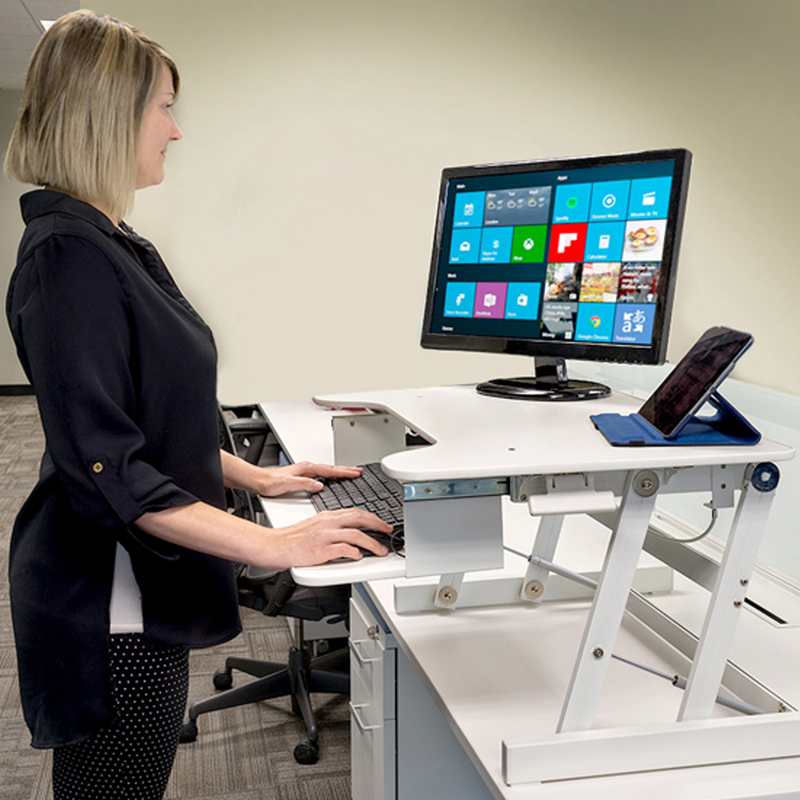 Standing Desks are known to improve productivity, reason being is that with improved posture, energy levels will increase. People that use Standing desks say that it helps, alleviate tension and reduce stress. 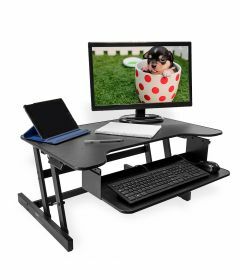 This is beneficial for both the office and being productive at home. The best way to ensure weight loss is to exercise, however studies have shown that weight loss can also occur by standing rather than sitting with 30-60 extra calories burned each hour. 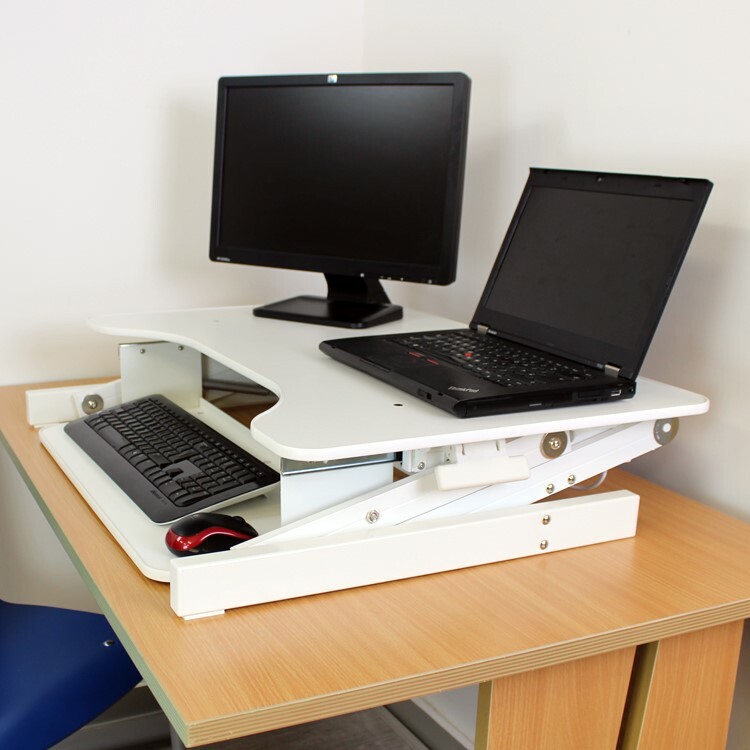 This can help with reducing the risk of obesity, however the Standing Desk should be used as an aid and not to be used in isolation from exercise and proper diet.